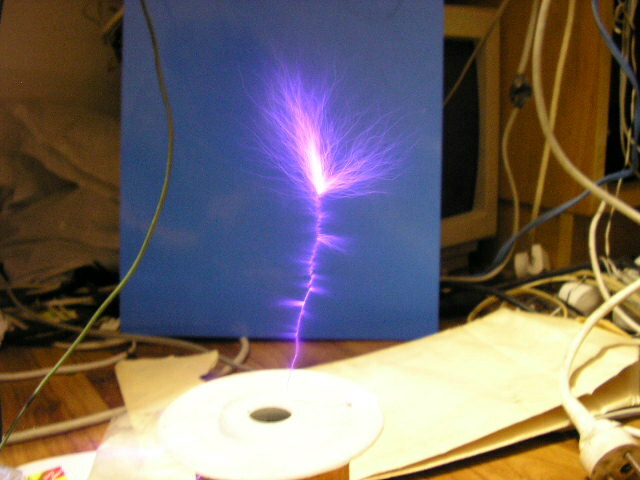 This Tesla coil creates 8 cm sparks and about 10 cm long arcs into a grounded electrode. 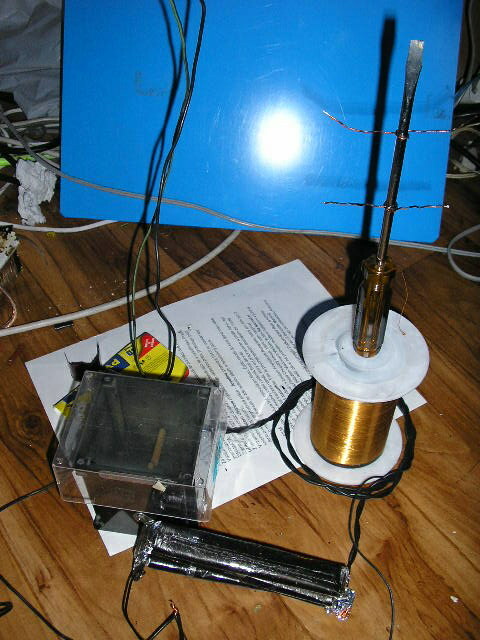 I used secondary from the previous Tesla coil (400 turns, 12 cm high). 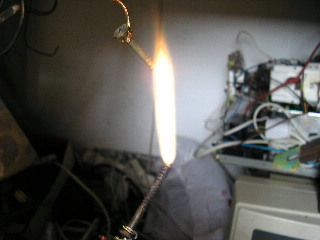 The primary thread has 3 copper wire turns 1.5 mm diameter, wound double. The capacitor consists of four 2.5 nF, for a total of at least 10nF 30kV (domestic production, of course). 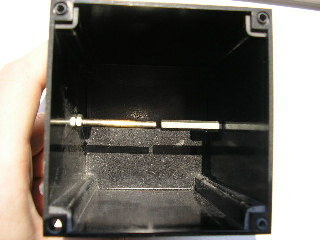 Spark gap is again static, built-in large bakelite box and covered with Plexiglas (protects from UV radiation). Distance between electrodes is about 2 - 2.5 mm. Power of the 10kV high voltage supply is limited to a maximum of about 300W. !!! WARNING !!! Tesla coil is an extremely dangerous device! 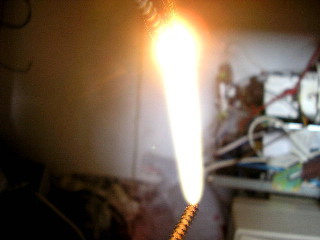 Its supply voltage is deadly! 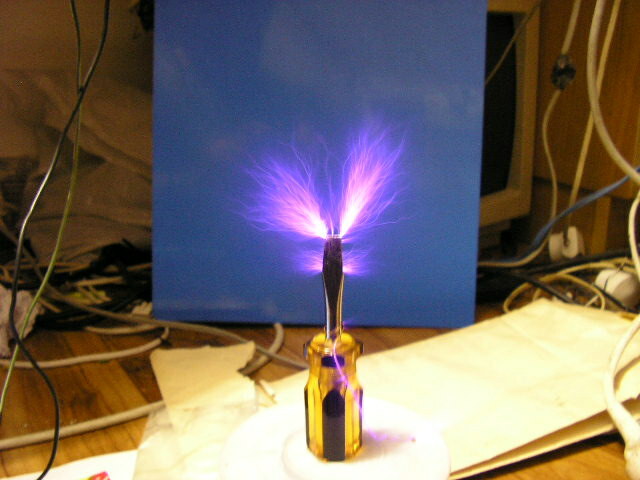 Without knowledge of the principles of working with high voltage, you can not construct it. 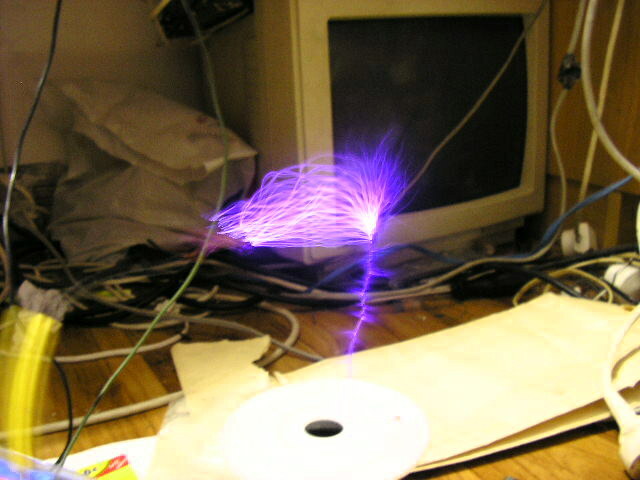 Tesla coil causes a broadband radio frequency interference. Electromagnetic radiation can damage electronic devices or storage media. The spark gap produces ozone (O 3), nitrogen oxides and other toxic gases, they have to be ventilated! Spark gap emits UV radiation. Current at ignition discharge of up to several kiloampers. Capacitor can remain charged even after shutdown. The device is very noisy and can damage hearing. Everything you do at your own risk! For any injury or damage I do not take any responsibility. The schematic of the spark gap Tesla coil. 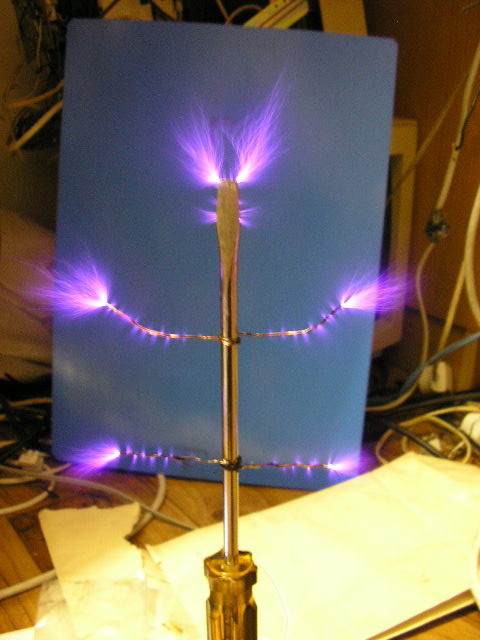 The Tesla coil primary waveform (simplified). 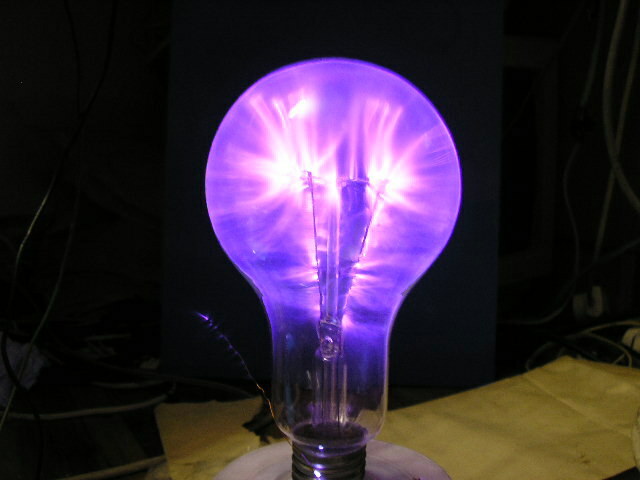 200W bulb as a plasma globe. Entire Tesla coil (without power supply). 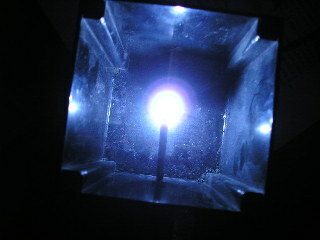 Spark gap 2,5mm in a 8 x 8 x 10cm box. Operating spark gap (protect your eyes). 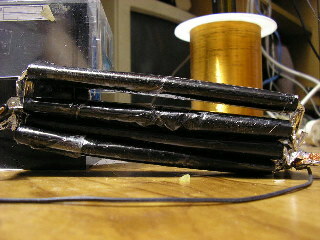 The ars from the Tesla coil 10 000V high voltage power supply at 300W.